In 2013, they stopped by Teshima where they built a very special iteration of their art, which became one of the high points of the Setouchi Triennale 2013. 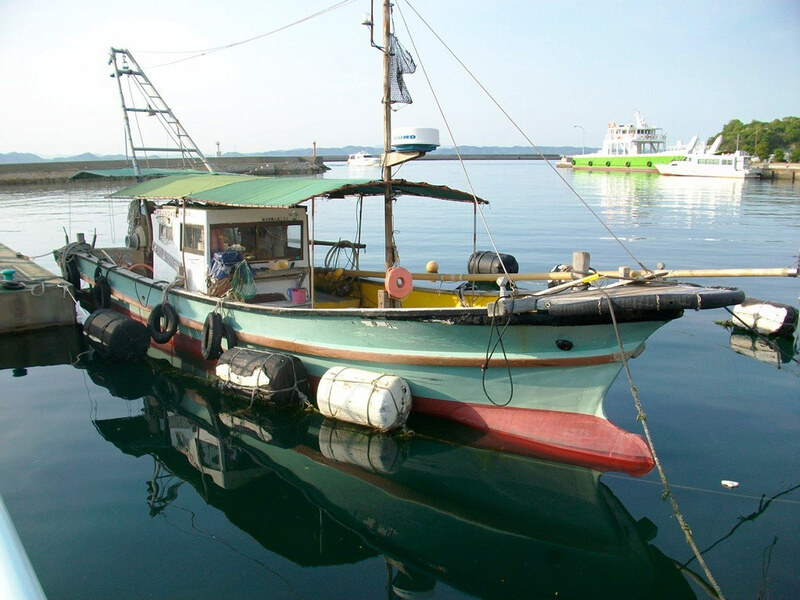 Usually, what they built has more or less an abstract form, but on Teshima they took inspiration from this boat to built their structure. Usually, their installation is in/on/around/over a building. 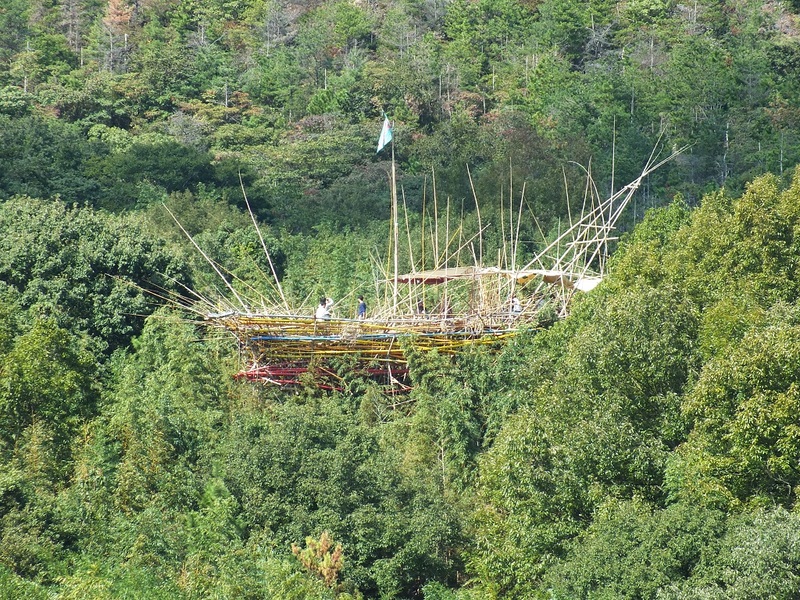 On Teshima, it was build on a live bamboo forest. Usually, their installation has a rather short lifespan. The one on Teshima will stay as long as possible. So, if you go to Teshima, just before arriving to the village of Ko from Ieura, make sure you look on your right hand side to not miss Big Bambú. 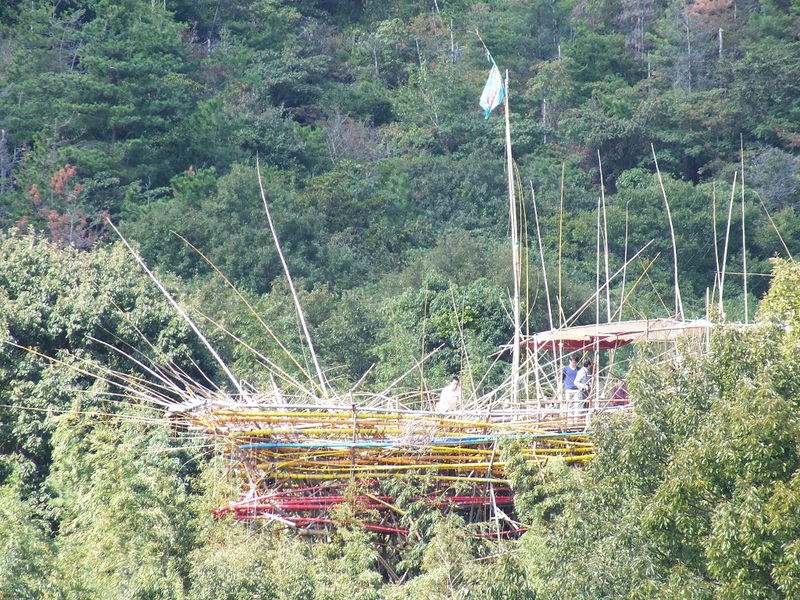 However, because of the unique way it was built (attached to live bamboo), climbing on top of the structure has become too dangerous. These days, you can only admire it from the distance. My encounter with the Starn Brothers and their team as they were building it in July 2013. My visit of Big Bambú in the Fall of the same year. Hai, it looks very long life wood boat in Bambú World now. Salute!